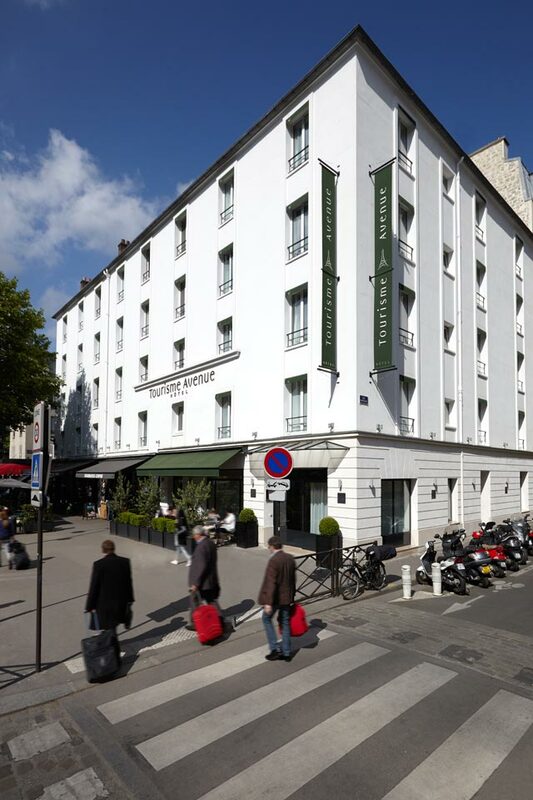 How to get to the Tourisme Avenue Hotel? The also stops just in front of the hotel and will take you in just 20 minutes to the Parc des Expos Porte de Versailles, in 35 minutes to Sacré Cœur, in 20 minutes to the Champs Élysées and in 30 minutes to Pigalle! You can catch the bus line 2 at terminal 1 (gate 32), terminal 2 E/F (gate E8), terminal 2 B/D (gate D14) or terminal 2 A/C (gate C10). Get off at the Eiffel Tower stop. 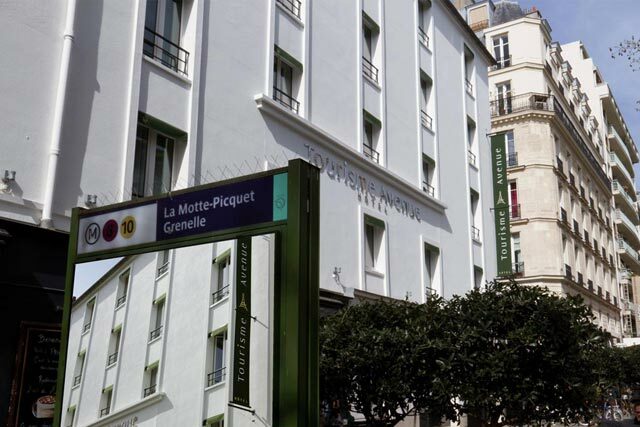 Go down Avenue de Suffren, then turn right into Avenue de la Motte-Picquet. From 5.15 a.m. to 11 p.m., every 15 minutes, and every 30 minutes after 8 p.m. The bus stops at Opéra. Take the RER B train towards Paris-Centre. Catch the bus at exit D of the West terminal or at exit L of the South terminal. Go down Avenue de Suffren. Turn right onto Avenue de la Motte-Picquet. Change at Denfert-Rochereau station and take line 6 to La Motte-Picquet-Grenelle station. Take line 4 towards Porte d’Orléans. Get off at La Motte-Picquet Grenelle. Take line 6 towards Etoile. Take line 10 towards Boulogne Billancourt. From the north, take the Périphérique WEST ring road and exit at Porte Maillot. When you get to Place de l’Etoile, follow Avenue d’Iéna and then cross the River Seine. Turn right, then left onto Avenue de Suffren. Turn right at the crossroads with Avenue de la Motte Picquet. Take the Voie Georges Pompidou towards Paris Centre. Follow the river until Bir-Hakeim bridge.